Many roads lead to Rome – and also to Singapore. So I had the choice between a direct flight and various flights with intermediate stops in Frankfurt, Zurich or the Gulf States. 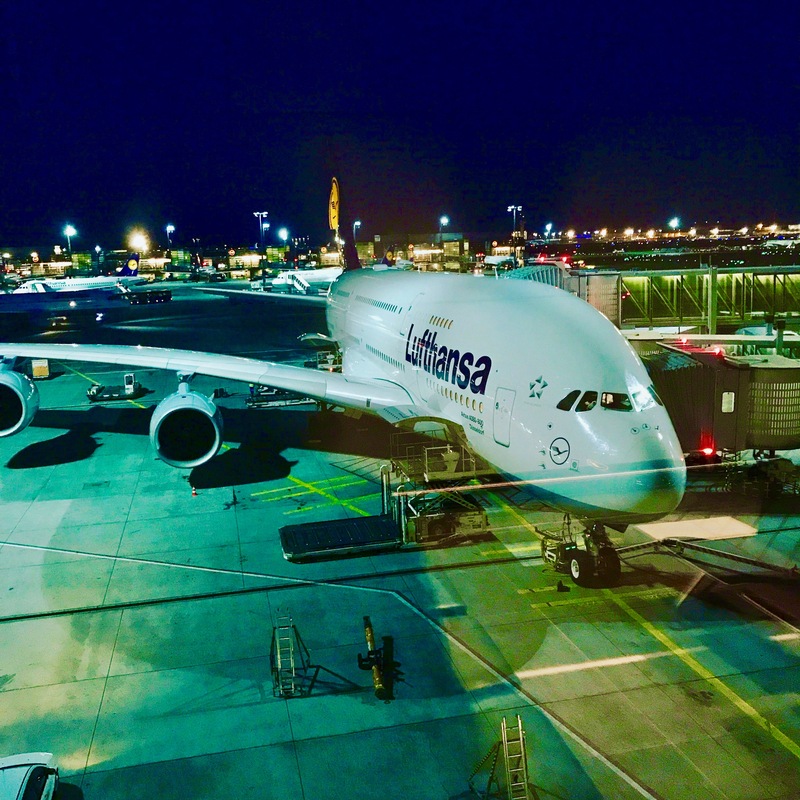 Finally I decided for Lufthansa (with a short stop in Frankfurt on the outward flight), because they were using their flagship, the Airbus A380 on the route from Frankfurt to Singapore – I have always wanted to fly with the A380! The return flight was carried out by SWISS in their brand new Boeing 777-300 ER, with a short stop in Zurich. 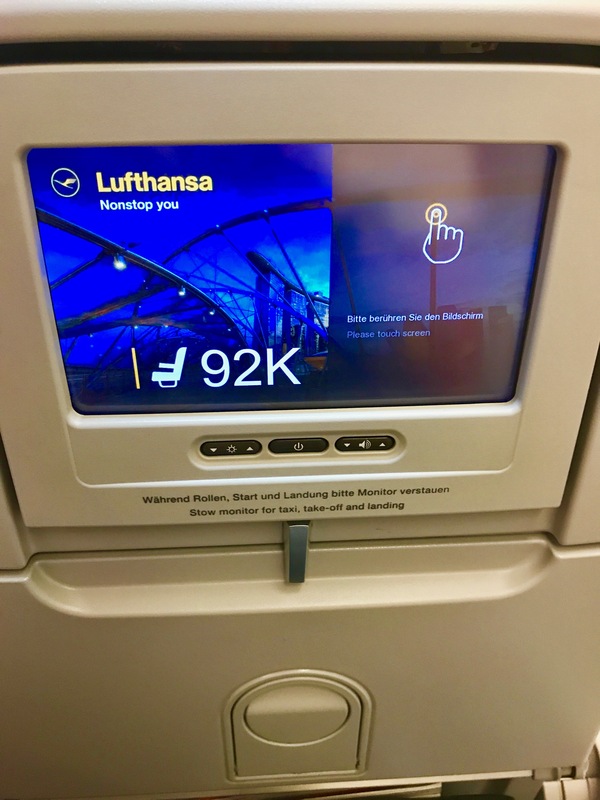 The 45-minute flight from Munich to Frankfurt was operated by Lufthansa in an Airbus A321. Like on my previous flights to Fuerteventura or Lisbon, the A321 absolutely convinces me with its spacious interior and the pleasant and calm feeling on board. 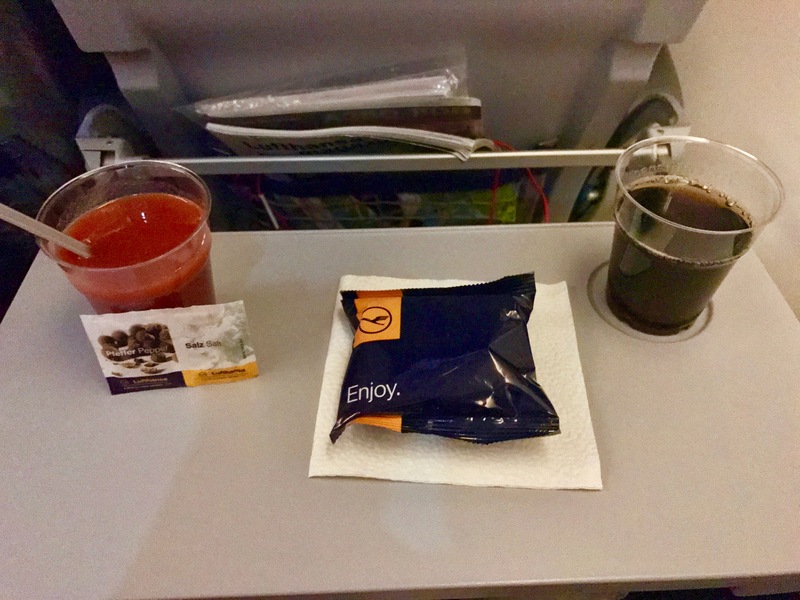 Apart from the obligatory tomato juice, the bordservice was good and after a small bag of salt crackers the quiet flight ended in Frankfurt. The 12-hour flight to Singapore was operated by Lufthansa in their flagship – the Airbus A380-800. This was one of the main reasons why I decided for flights with Lufthansa. With a length of over 72 meters, a take-off weight of 570 tonnes, a height of around 25 meters and a wingspan of 80 meters, the Airbus A380 is a true giant! 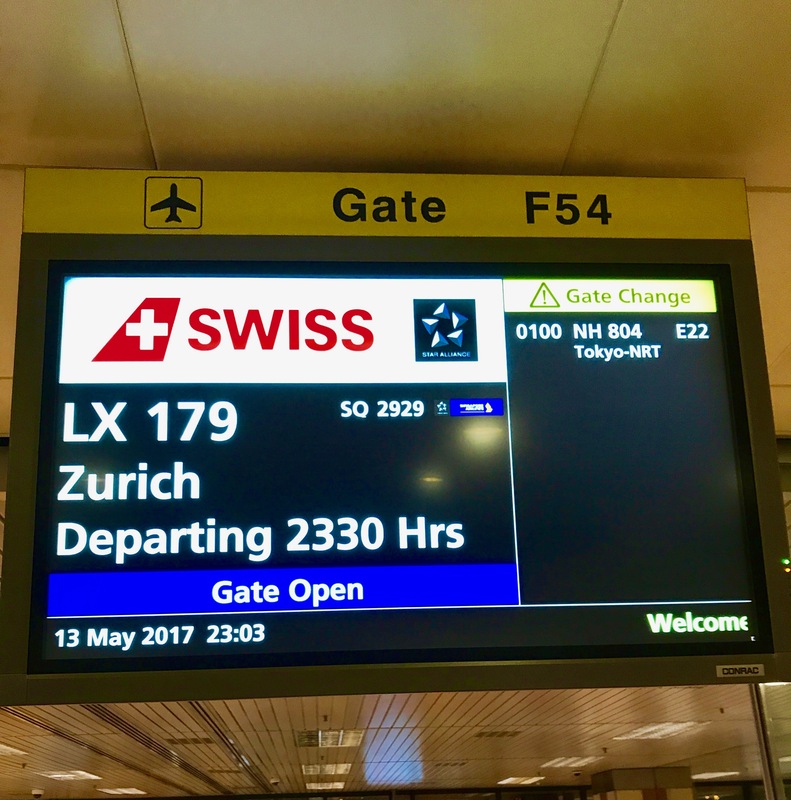 The boarding was over two floors and passengers were able to enter the A380 over three entrances – both the number of seats (more than 550!) and the great ceiling height leave no doubt: That it is a long-distance jet. 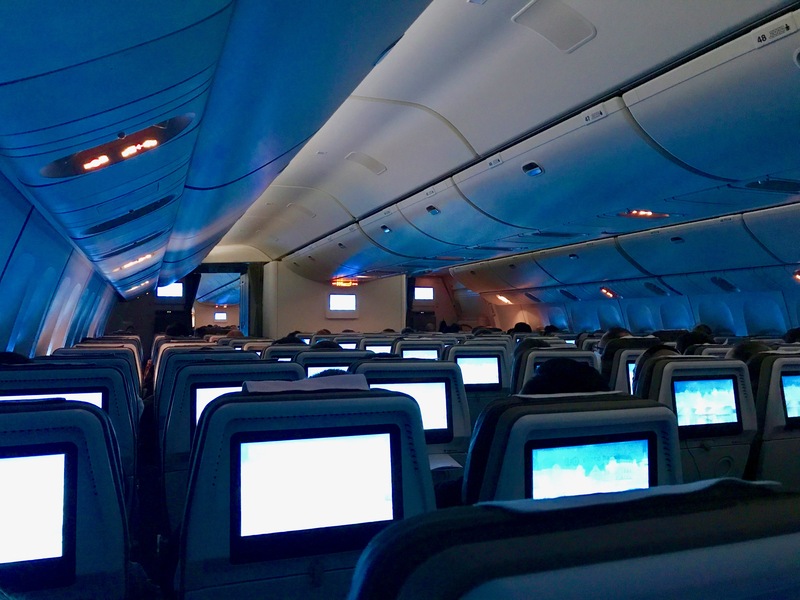 I have decided for seat 92 K in the rearmost part of the aircraft and I was really satisfied with it. 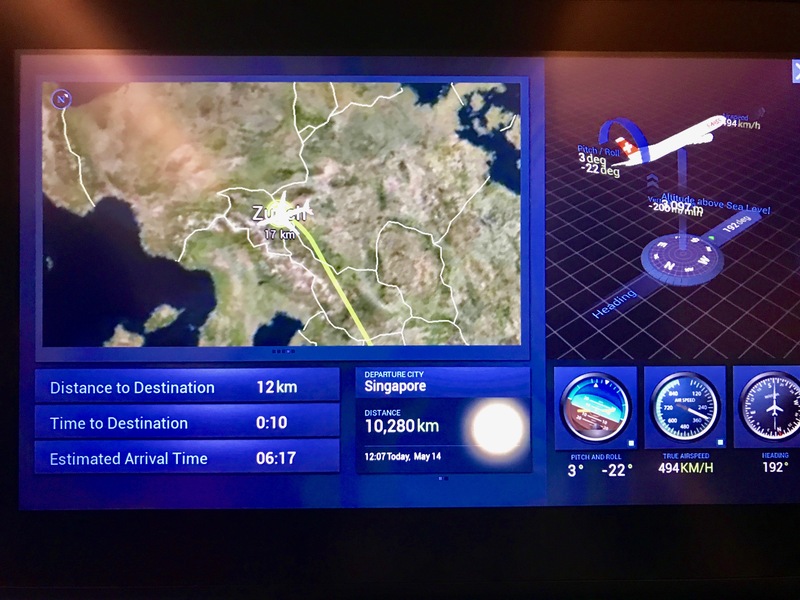 Thanks to the really grandiose flight behavior of the A380, the start was hardly noticeable and the landing was absolutely gentle – during the calm flight there were neither turbulences nor other troubled phases. 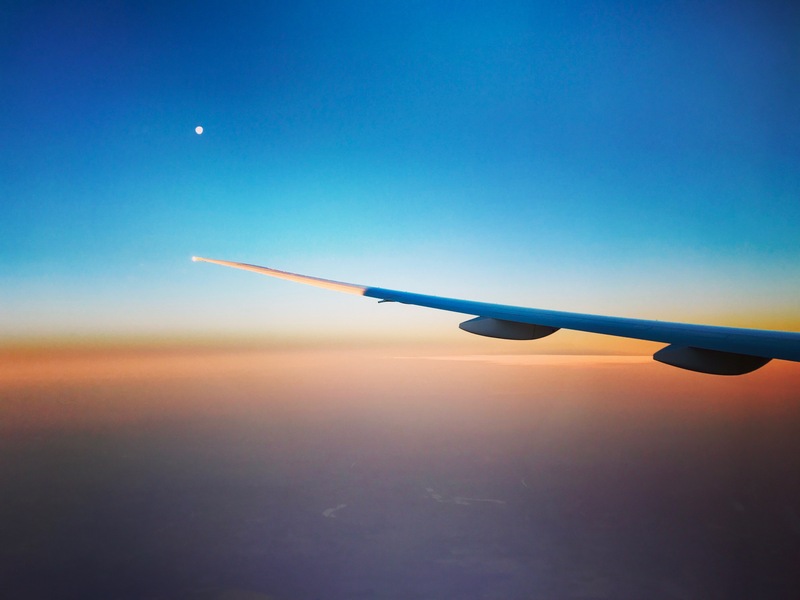 Moreover, the flight was extremely silent – a very pleasant flight! 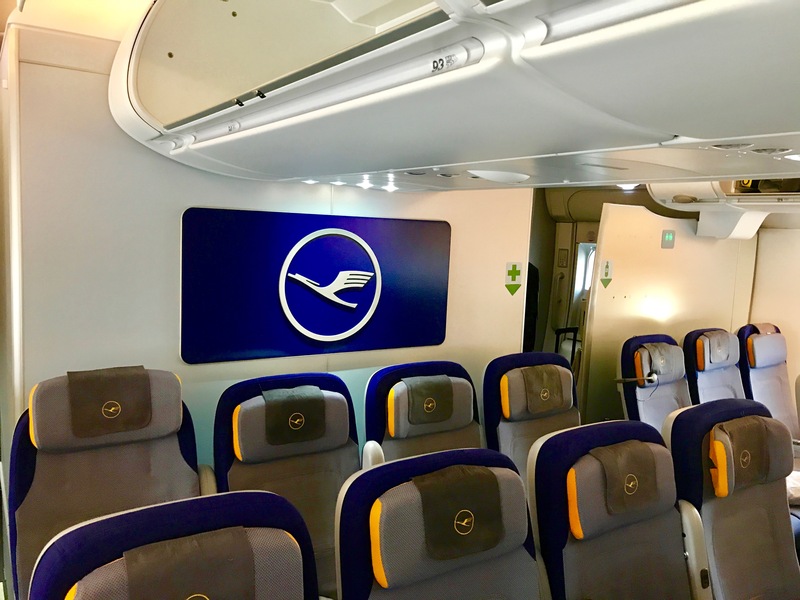 The board service was absolutely great – hot towels were served several times, water and orange juice were offered several times and the entire crew always had a smile on the lips – top! The preflight shopping was the only thing what didn’t work well. In the run-up to the flight, I ordered a watch to pick up on-board and I received a confirmation. Unfortunately no crew member could find the clock. My food was very tasty and served as the first, because I´ve ordered a special menu in advance. Warm food was served twice (after the start and before the landing), drinks were distributed several times. aircraft – it hasn´t been boring at any time! 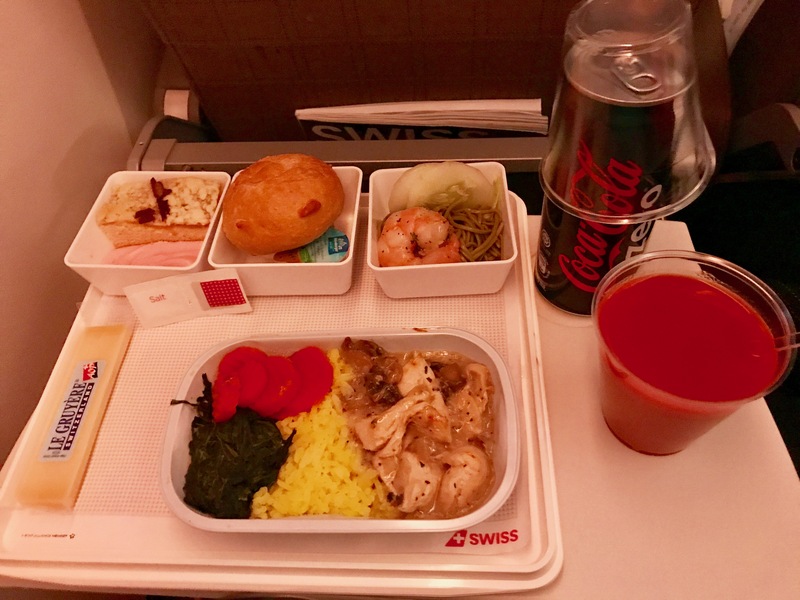 The almost 13-hour return flight was operated by SWISS in their flagship Boeing 777-300 ER. The Boeing has a 3-4-3 seating, in the rear two rows the seats are arranged in 2-4-2; my place was 50 A, in the penultimate row. 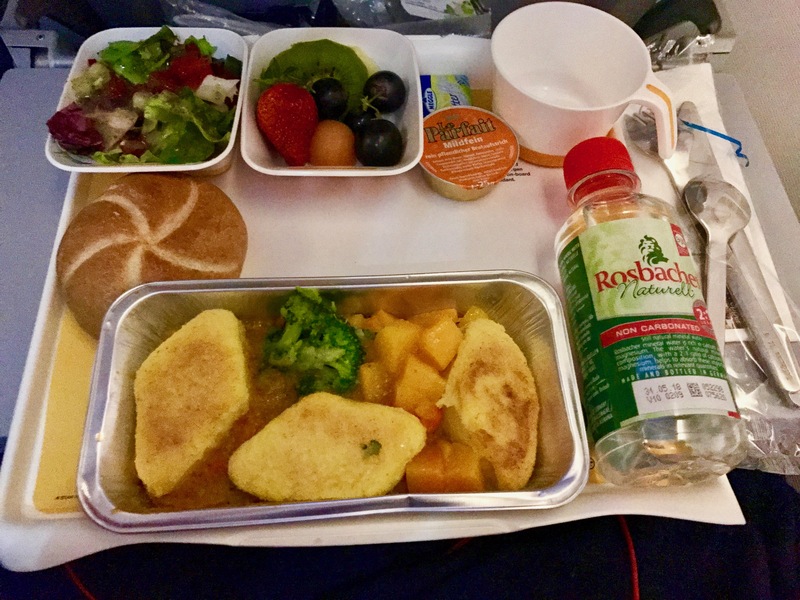 The food was announced by a menu card for every passenger at the beginning of the flight. It was excellent and served shortly after the start. 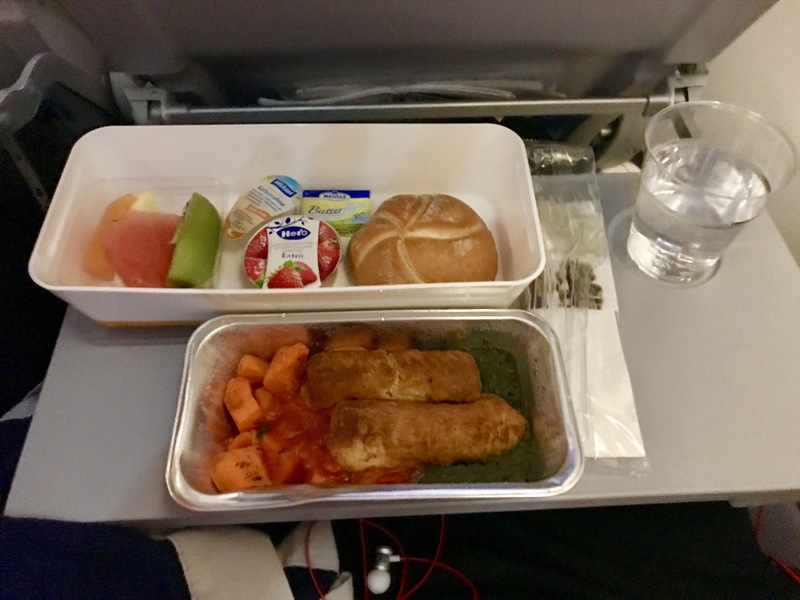 A second warm dish was served before approaching Zurich. The entertainment on board was very good! The big screens had a great resolution and due to various movies, series and games there was always something new to discover. The board service was OK. 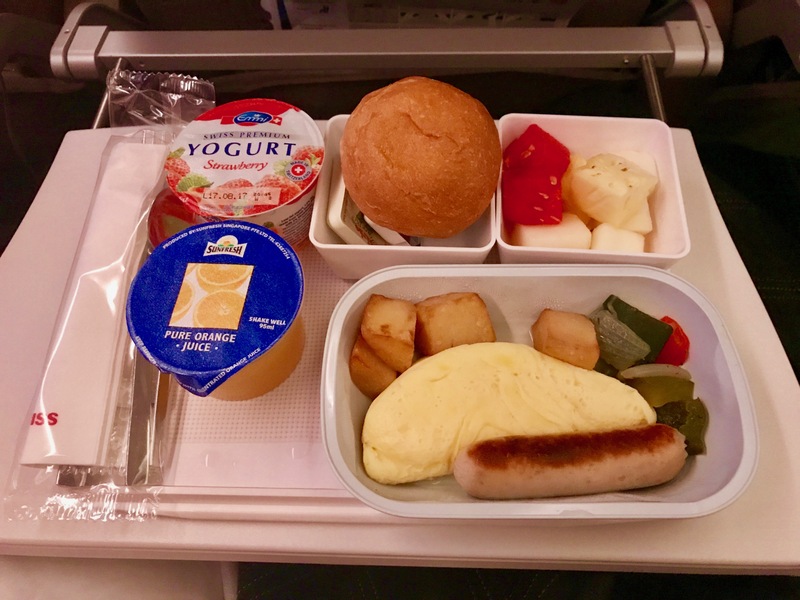 But the flight attendants seemed to be quite stressed, they partly ran through the airplane and unfortunately it was hard to find anyone smiling. In the air, apart from a few turbulent phases after the start, there were no significant turbulences. However, the aircraft was extremely loud in the rear area. It was very hard to fall asleep during the flight, even with noise cancelling headphones. 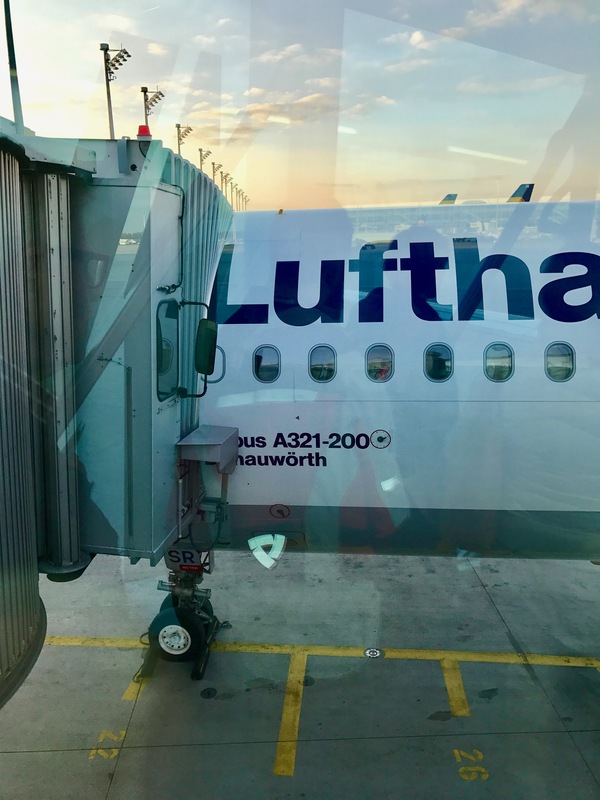 In addition, it was not possible to lock my seat in any position, which wasn´t particularly pleasant on a 13-hour night flight; the flight attendants couldn´t solve this Problem – a pity. The 45-minute flight back to Munich was carried out by SWISS in an Avroliner 100. This tiny aircraft convinced again by its large space conditions, as I already knew from my last flight to Zurich. Due to the very good leg room and the spacious seat at the window, the short flight was really fun. It´s a pity that SWISS is now replacing this aircraft. However, I am already looking forward to the flights in the modern successor, the Bombardier CS100. 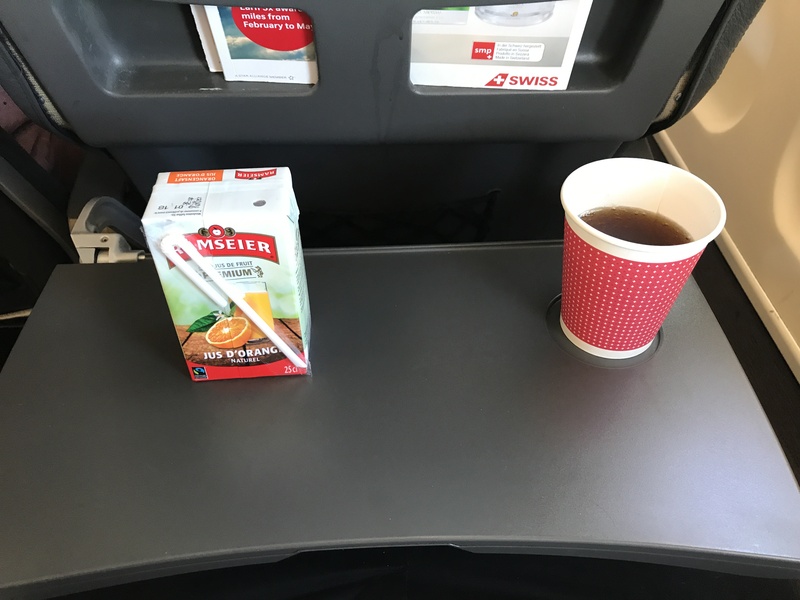 Beverages were served right after the start, the board service was good and the very calm flight ended in Munich 45 minutes later.